Grammy award winning DJ and producer Skrillex is known world-wide as the guy who commercialized dubstep and who was a key figure in making the EDM industry what it is today. However, after winning several grammy’s, touring the entire world DJing (and making quite a lot of money doing it), scoring for films and having his own record label… What else is there to do? This is a great and all.. but my only question is why have a label if all the music is going to be released for free anyways? I’m not sure.. But I know this is a good idea by a high profile artist. I am curious to see how long this c an last! In terms of legendary groups in Hip Hop goes, The Wu-Tang Clan isn’t far from the best and most talented rap acts of all time. Since the early 90’s, they have put out 5 albums, and launched successful individual careers for many of the artists on their team. 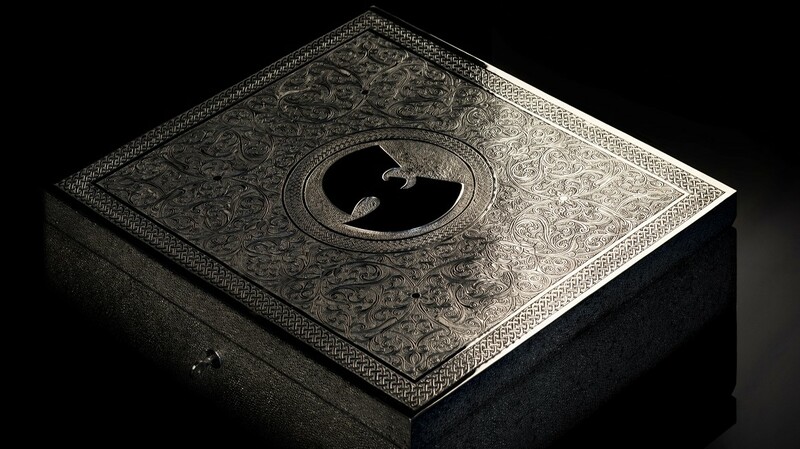 Now, in 2014, the Wu is changing the game with their new album… The Wu-Once upon a time in Shaolin. Pictured above is the one and only copy of the album created. Only one copy will be sold and along with the albums all the rights to license and distribute the album. People will have the opportunity to pay between $30 & $50 to listen to the album after going through an extensive security process to ensure they can not record even a snippet of the album. We have seen very interesting ways in the past few months of artists releasing albums (Beyonce, Kid Cudi, Nipsey Hussle, etc.). This idea right here is definitely one for the books. Considering the longevity and fan base of the Wu-Tang Clan, the album is likely to sell for a multi-million dollar figure. Attention Songwriters, Composers & Lyricists!! 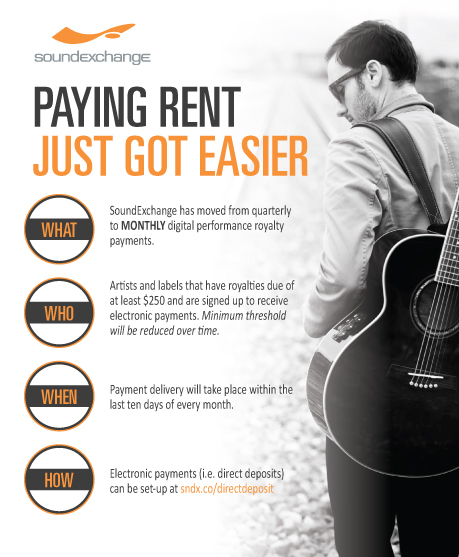 Do you know about Soundexchange? Most collecting societies offer royalty payments twice a year. I suppose they need the time to organize payments due to the size of their catalogue and to keep their accounting department sane. However, that simply isn’t often enough for the average musician these days. SX was already competitive by offering quarterly payments for their members. However monthly payments is even better! It won’t matter much to the cash cows and “ballers” of the industry, but for artists making over $250 a month, looks like rent can get paid on time. As an avid concert and festival goer, I have seen artists and bands go through leaps and bounds to create the most entertaining, fun and rememberable experience for attendees. I have seen Kanye West ascend over and around a crowd to start a show, skydivers with jetpacks creating light shows as they descend and Steve Aoki through a cake 20 meters into the face of a girl waving a “Cake me!” sign. 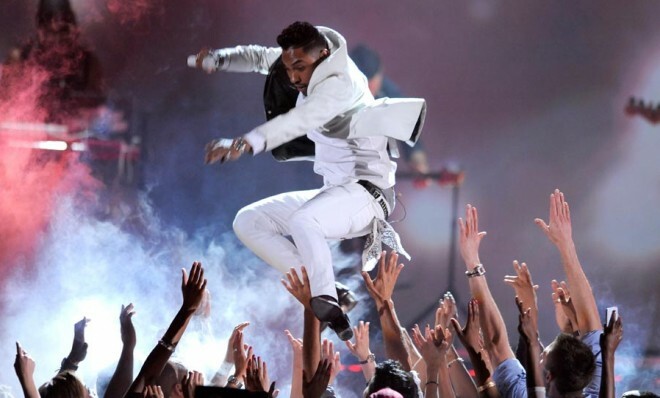 I have also noticed that so many artists have begun to stage dive (both on purpose and by accident). In general, it seems that being as close to your crowd as possible seems to be the trend whether it is through use of social media, meet and greets and by literally throwing their bodies into the crowd. I stumbled on a video about a new “HUVr Board” that allows people to fly as if on a skateboard. See video below. Now, although this video is probably fake, I think that the idea is something that acts are bound to start using in their shows. Imagine an artist performing over the entire arena on a moving stage? Imagine live holograms all over the arena. Imagine a concert where the stage is in the middle of the crowd and attendees are in a circle around the stage. How close can artists get even closer to people in their concerts? That is left to be seen. But I’m sure that the ideas for this are steadily brewing. Pharell has been in the music industry for over two decades. In that time we have seen him have his hand in too many monster records to count as a producer, singer, and/or rapper. However he has only released one solo project in 2006 entitled “In my mind”. The album debuted at #3 when it came out and went on to sell nearly 900,000 copies. On February 18th Pharell, released a video showing that he will be releasing his second solo album on March 3rd. 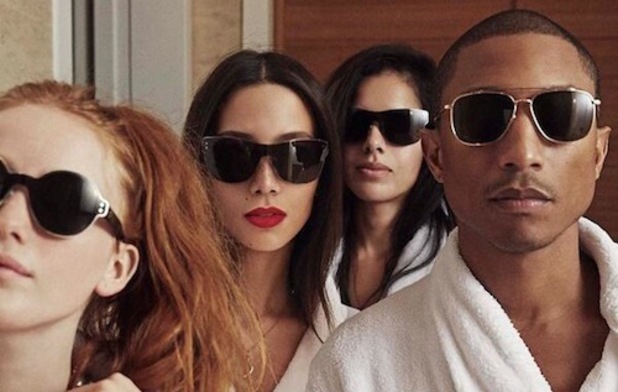 In the past year, Pharell has been popping up everywhere. The success of songs Blurred Lines by Robin Thicke and Get Lucky by Daft Punk put Pharell and his involvement with the Jay-z album Magna Carta Holy Grail at the forefront of the music industry in the first half of 2013. In the second half of 2013, we saw the rise of the song Happy. Originally a song for the movie Despicable Me 2, Happy blew up with the music video, 24 hours of happy website, and the many remakes. Since the beginning of 2014, Pharell has already performed on the Grammys, the Brit Awards & the NBA All-Star game. Now, we have the announcement of his second debut album (album artwork is above). The only single on the album is Happy, but it is bound to be an EPIC piece of work. Daft Punk returned the favor and helped Pharell on his Album (ironically being released exactly a year after the release of Daft Punk’s “Random Access Memories”). Other features include Justin Timberlake and Miley Cyrus (2 artists who have also released albums and very important to music in the last year). After receiving 4 Grammys, one of which was for producer of the year, I think it is safe to say that Pharell is at the top of this game and this album is likely the culmination of the last year and the beginning of another one. I respect Pharell as one of the most talented artists and producers in the industry right now. I am truly excited to see how the album sounds, but either way it is an album bound for international chart success. Heading into Midem, I was not entirely sure what I wanted to take from the experience. Other than learning from the talks of industry professionals, and enjoying the beautiful city of Cannes, I had the least expectations of leaving Midem with more than a couple business cards from some cool people. What I found on day one, was that I began to find people and companies that I was generally interested in learning more about and potentially become connected with in the not so distant future (i.e. around July 14th). I met with the CEO and founder of Indiloop, an application that allows users to remix and mashup songs posted from Indie labels they are in contact with. This gives exposure to the artists, and is generally just fun for users. In my talk with him, I pitched my business idea and got some very good feedback about ways to make it more interesting and niche market based. Additionally, I discovered a few other interesting startups (including Lisner & Music Kickup) that have very interesting business models and could be very useful to me in the future as I look to release my own music in the future. Of all the talks I attended, the Lyor Cohen talk was the most entertaining although perhaps not one I took the most from. The one that is consistent with Cohen and many of the speakers we have had this semester in music business forums is that a little luck is absolutely necessary to be extremely successful. Skill and talent will get you to a point but to truly hit it big, you’ve got to be up all night to get lucky. On the final day and in the final hours of Midem, I was lucky enough to speak to some representatives of Nielsen Soundscan about an internship/job opportunity in New York City that fits my skill set and interests. This was all thanks to aperrin1@berklee.edu and a bit of luck. Although they couldn’t offer me the position on the spot, they put me in contact with the right people and have recommended me for the position.